EVE Online FPS spin-off Dust 514 was an ambitious project that would have failed regardless if it was on PC or PlayStation 3, according to director Snorri Árnason. 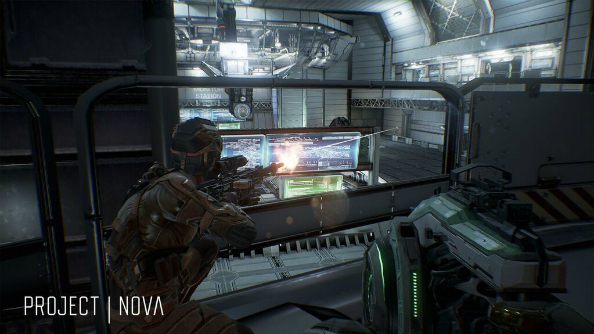 To find out what Project Nova does better than Dust 514, see our Project Nova Hands-on here. The CCP senior director is in charge of the recently announced Project Nova which aims to bring a similar FPS experience in the EVE universe to PCs after PS3’s Dust 514 released in 2013. At EVE Fanfest this weekend, our intrepid nordic explorer Jeremy Peel asked Árnason if Dust 514 may have performed better put on PC, where there were fewer hardware limits and an established player base. The trouble, he believes, was not in the technical performance or the platform switch to console, but the developers’ inability to contain their own ambition. Project Nova looks to combat some of the problems of Dust by having more obvious ties to the original EVE universe, and setting firefights in tighter confines than massive battlefields, like ship interiors.